Connect a DVI display to a Mini DisplayPort® equipped PC or MAC®. 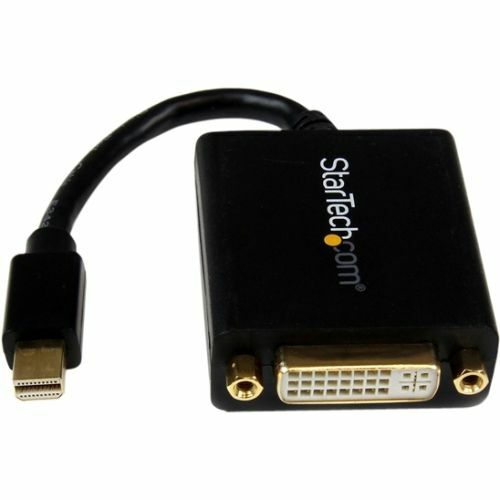 The StarTech.com MDP2DVI Mini DisplayPort DVI Adapter Cable offers a cost-effective DVI/Mini DisplayPort link, letting you connect a DVI computer monitor to a device with a Mini DisplayPort output while saving the expense of upgrading the monitor for compatibility. MDP2DVI is a passive adapter that requires a DP++ port (DisplayPort++), meaning that DVI and HDMI signals can also be passed through the port. Compatible with Intel® Thunderbolt™, when connected directly to a supporting DisplayPort over Thunderbolt™ I/O port. Backed by a StarTech.com 2-year warranty and free lifetime technical support. Warning: Cancer and Reproductive Harm - www.P65Warnings.ca.gov. 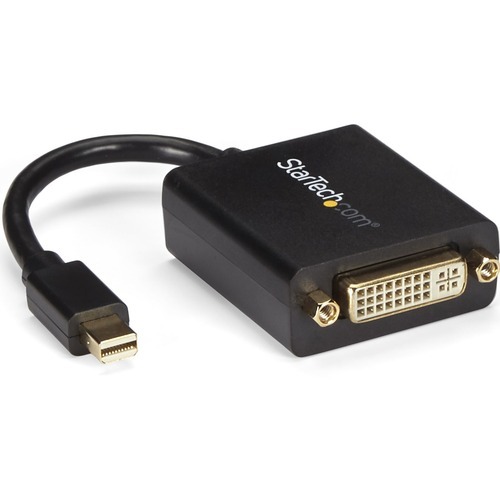 The StarTech.com MDP2DVI Mini DisplayPort DVI Adapter Cable offers a cost-effective DVI/Mini DisplayPort link, letting you connect a DVI computer monitor to a device with a Mini DisplayPort output while saving the expense of upgrading the monitor for compatibility. This Mini DisplayPort adapter is the perfect accessory for any of your MacBook® or Microsoft® Surface™ Pro devices with mDP. MDP2DVI is a passive adapter that requires a DP++ port (DisplayPort++), meaning that DVI and HDMI signals can also be passed through the port. Compatible with Intel® Thunderbolt™, when connected directly to a supporting DisplayPort over Thunderbolt™ I/O port. Backed by a StarTech.com 2-year warranty and free lifetime technical support.